You’d expect a brand named Malibu Rum to associate itself with summertime fun. 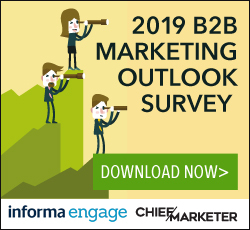 With its Marooned on Malibu Island, the company and agency Legacy Marketing Partners didn’t disappoint. They targeted 21- to 35-year-olds by appealing to their love of music, social media and hanging out with friends. The campaign was the focus of Malibu’s entire summer 2013 marketing plan; every marketing dollar was dedicated to Marooned on Malibu Island. The program kicked off with a Facebook app that enabled consumers who liked the Malibu Rum page to vote for their hometown to receive a private concert by Maroon 5, a band with an audience similar to that of Malibu’s target market. Visitors could create their own virtual “island” and recruit their friends to join them; the island with the highest population would win the concert. The app also included cocktail recipes, games, and music—just the sort of things people would want to keep themselves amused on their island. On-premise accounts supported the promotion with branded drink holders and customized menus and decor; retailers displayed drink recipes and offered a mobile Snaptag so that consumers could instantly connect to the Facebook app. To motivate distributors and sales teams, Malibu gave them the opportunity to attend shows and meet-and-greets on Maroon 5’s summer tour. Further integrating with the Maroon 5 tour, Malibu created an “island oasis” in the parking lot at two of the concert venues, complete with a sand volleyball court, celebrity DJs, a custom bar, and free samples to of-age attendees. At other shows on the tour, Malibu tents gave away branded glow sticks and beach towels in keeping with the summer-fun theme. 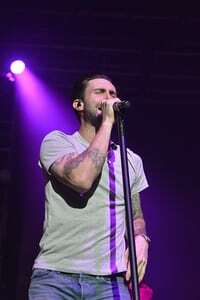 The winning hometown was New York, so the campaign culminated with a private Maroon 5 concert at Roseland Ballroom. The campaign gained Malibu more than 416,000 Facebook fans, and more than 366,000 users visited the Malibu Island app. The brand directly interacted with more than 30,000 consumers throughout the concert tour, and it obtained 10 high-profile PR placements that garnered more than 87 million impressions. MasterCard - Gold McDonald’s Corp. - Gold Ford Motor Co.